Our landmark locations and genuine hospitality offer the perfect festive backdrop for our chef’s special Thanksgiving menus. From a festive buffet or traditional turkey dinner with all the fixings to refined seasonal specialties like Butternut Squash Veloute and Smoked Pork Shoulder with wild honey, brussels sprouts, apple, cranberry and crispy shallot, our restaurants offer something to delight your children, family and friends. All our restaurants listed below will be serving a special Thanksgiving menu in 2019. You can email us to be the first to know when reservations open up, or just check back here for more information and menus as they become available. Celebrate Thanksgiving in the heart of Orange County. Enjoy a festive buffet inside the landmark Bowers Museum, Santa Ana’s quintessential Southern California backdrop. Feast with family and friends at America’s favorite al fresco restaurant, with stunning views of the iconic LA Public Library in downtown LA. Indulge in elevated holiday dishes by Executive Chef Phillip Martin. This year, leave the cooking to Executive Chef Megan Logan and enjoy a perfectly prepared turkey dinner in the Bunker Hill area of downtown LA. Not in the mood for turkey? Savor one of our signature dry-aged steaks. Join us for a traditional Thanksgiving Day meal at the beautiful Descanso Gardens in La Cañada Flintridge! Celebrate the holiday with family and friends inside Van de Kamp Hall while surrounded by the smell of fall. 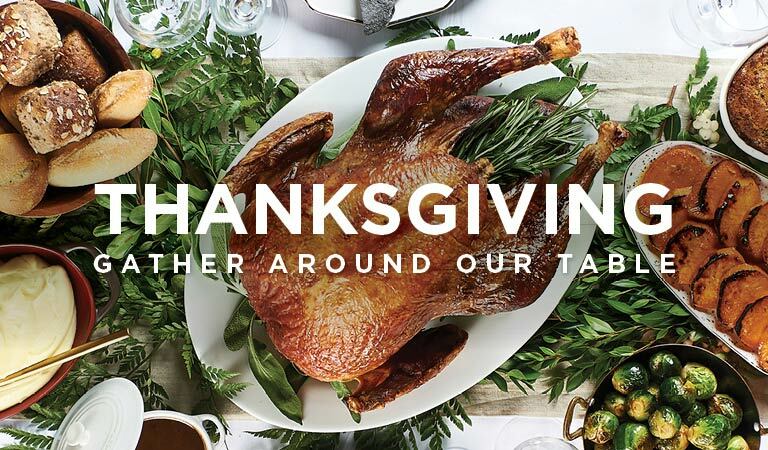 Enjoy a Thanksgiving buffet by Executive Chef Philip Mack including turkey and all of the trimmings.